Thanks for doing this. The 'Learn' will really help me. Wow! This is neat. I could see this being super helpful with kids too! Great stuff! This seems like a useful update! Thank you! I was getting confused! Oh my goodness!! Thank you so much for the one word reveal! I just asked about this a day or two ago! I'd love to see this in the Review>Verses area as well. One update that might go well with these recent additions is an update to the Practice page. Currently, the page reloads for every verse, unlike Learn and Review. Also, I would like to be able to choose which verses I practice on, similar to Learn. As it is, the Practice page is not very useful to me, so I hope this is on your priority list. Oh - and there's still a bug in Review connected to the "fast-forward" button. I mentioned it a couple months ago. Thanks for letting us know. I was confused at where to go. Just wondering, under the "Learn" Tab, then going to "Practice" - does that let you review chapters or verses? I can't figure it out. EDIT: I was trying to enter a verse into the "Learn" feature - it wouldn't let me add the verse - does it only let you enter verses that are in your account under "My Verses" ? LOVE it!!!!!!! :) Thank you so much for all your work!!! YES! Awesome! My favorite is the one-word revealing thingey. LOVE IT!!! Oh, whoops! I was so worried the Memorize feature disappeared. Now I see what the story is. Glad I saw this Blog post. Like Gail, I was concerned when I didn't see the "Memorize" option. I think the new features will be helpful...and like people have commented on, I think the one word revealing will be especially nice. I was very excited when I read about the new changes, but I must be encountering some errors or just not understanding what to do. I enter the reference and click the plus sign, but what then? Am I supposed to be able to type the verse somewhere? Also, what are the levels below the main field? Thanks for helping us slow learners along. Once a memory verse is loaded in the center panel you can use the green arrows to control the difficulty level for that specific memory verse. As you go from level 1 to level 10 there will be fewer words in the verse. We will soon be adding some help information. This is extremely helpful! I was able to get a quick start on several verses this morning. Thank you! There was a real earthquake at our house in Southern Ohio!!! Did anyone else feel it? Yikes! Did it do much damage? We are in northeast Ohio, and we didn't feel anything. I felt the earthquake! It was so exciting! It lasted over 10 seconds - definitely the longest earthquake that I've ever experienced. It didn't do any damage, but it really made the house shake. Everything was rattling and one of our doors even started swinging. It was only 4.3 on the Richter scale, but since we live in a valley near a fault line, we seem to feel earthquakes more than others do. The epicenter was in eastern Kentucky. Now I have been in two earthquakes!!! !None of them ever did any damage. Thanks for this new feature Andy! You are always making memverse even better. 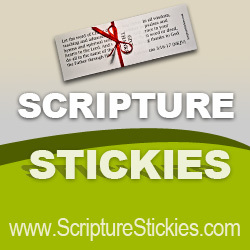 I have used the Learn section for some new verses and it is really helpful at getting those new verses stuck in my mind. I am having the same issues as Christina. I can add a verse and change the level, but nothing happens. I cannot type anything. What am I missing? Once you have loaded the memory verses you should be able to type the missing words into the center panel. On the first level there is nothing to type but as you advance through the levels there should be more and more words missing. Is that what you're seeing? If not, please leave a comment on the 'Feedback' tab (on the right of your browser window) and let us know which browser version you are using. No, that's not what I am seeing. Nothing can be typed and no words disappear...even on level 10. I am using internet explorer browser. I don't know where else to ask this...what's up with all the active people on Memverse? It says that everyone is active in my Church except for one, but I know that isn't right. What's up with this? Unfortunately when we added the passage functionality it had the effect of making all users appear active.